Our goal is to make smiles healthy and happy for a lifetime. Welcome to our dental practice located conveniently off of Bloomfield Avenue in Verona, NJ. Here, our goal is to help keep your smile beautiful and your teeth and gums healthy and strong. Our mission is to help our patients accomplish these goals in a painless, compassionate, and efficient way. We aim to treat our patients in a safe environment with necessary, comprehensive care. We maintain honest, quality work that our office has provided for decades in Verona. We welcome longstanding and new patients into our home for all your dental needs. Dr. Majewski was born and raised in nearby South Orange and currently resides in Maplewood. 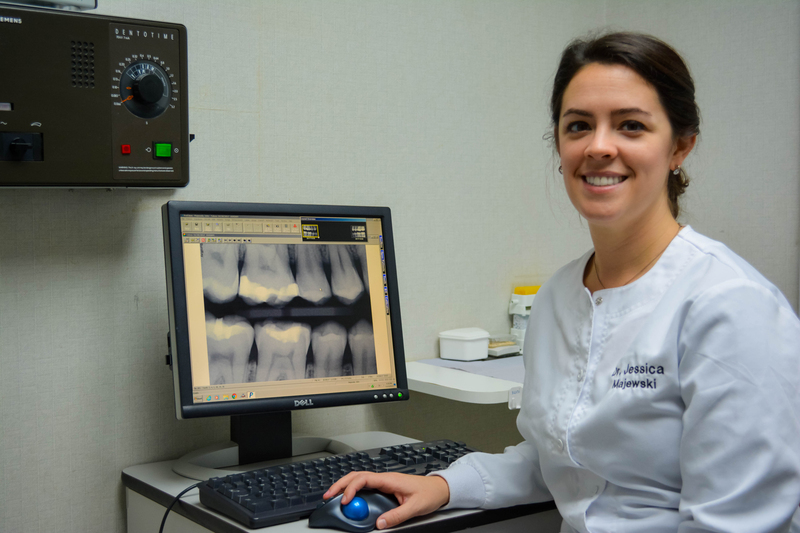 Her interest in dentistry started at a young age when she began working in a dentist’s office during her high school years. Dr. Majewski went on to earn her undergraduate degree at Fordham University in the Bronx with a BS in Biology. From there she attended the University of Medicine and Dentistry of New Jersey (now Rutgers University) in Newark and earned her dental degree as a Doctor of Dental Medicine (D.M.D.). She spent her first year out of dental school as a General Practice Resident at the Veteran’s Hospital in East Orange. Dr. Majewski started working alongside Dr. John McGirr in the summer of 2016 in Verona after working in private practices in nearby areas. She increased her hours at the office after several months of getting to know the patients. She has met many of Dr. McGirr’s longstanding patients and happily welcomes new patients. She feels Dr. McGirr has created a very successful practice based on honesty, exceptional skills, gentle demeanor and a family friendly environment. Dr. Majewski hopes to carry on this tradition after many years of his service to Verona and surrounding areas. She acquired the practice in September of 2017 and looks forward to an exciting future in Verona.